UA in Oxford is one of the Honors College’s premier study abroad experiences. In this letter, Founding Dean Emeritus Bob Halli describes this signature program. I’m excited to share this information on UA in Oxford, UK, Second Term Summer School, 2019. 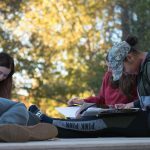 For the 2019 program, there will be six course offerings all taught by University of Alabama faculty and all designated as Honors courses. This means that, despite which courses you decide to take on the program, you’ll net six of your required 18 Honors courses. And there’s plenty of opportunity to nab core and major-specific courses, as well! You can find more detailed course descriptions, as well as faculty profiles and an overview of the program’s logistics, costs, and an application portal, at the program’s website, www.oxford.ua.edu. If you have even the faintest of interests in studying abroad this summer, I encourage you to check out the website and/or come by one of our information sessions, the first of which will be held at 6 p.m. on Tuesday, October 23, in Gorgas Library 205 (the large room on the right as you enter from the Quad). Dates for additional information sessions will be posted as they are determined, on the program website-and you can submit a program application as early as late September. To put it mildly, studying abroad in Oxford will be an immensely rich and rewarding experience, and it’s one that I encourage every Honors student I encounter to consider. The reasons for this are too many to list, but suffice it to say that The University of Alabama runs one of the best Oxford programs around. Not only is our Oxford home, Worcester College, gorgeous, but the courses on offer make the most of the environment in which they are set-indeed, all of them require Oxford and the UK in general to find the depth and subtlety, I suppose the “realness,” that a day-in and day-out course sometimes lacks. It’s the aim of all the faculty on the program to give you a unique, indeed, unrepeatable, classroom experience, and I can once again assure you that this will be the case. The director of UA in Oxford for 2019 is Dr. Erik Peterson, Assistant Professor in the Department of History. 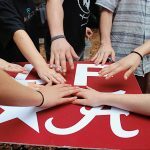 You can contact Dr. Peterson at elpeterson@ua.edu or the Honors College representative Dr. Paul Phelps at paul.c.phelps@ua.edu if you have specific questions about this year’s program. If you have questions about study abroad that can’t be answered by the program website, you can call Capstone International at (205) 348-5256 or stop by the office in 135 B.B. Comer Hall.